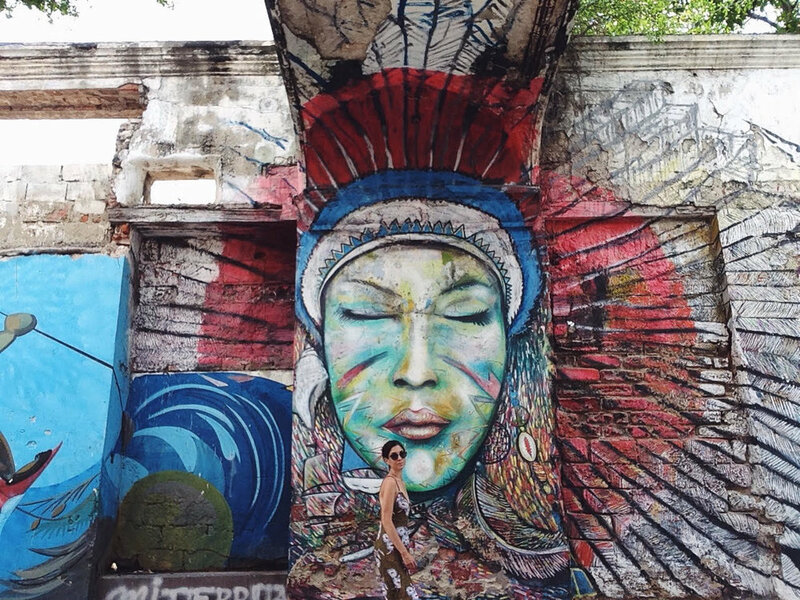 While I researched destinations, this trip was all about color: the color of architecture, the color of food, the color of art and of life. When Cartagena came up in a Google search, it was immediately decided that I would go there. It's cobblestone streets and vibrant colonial buildings called to me. What I quickly learned, with each different place I went to and struggled to leave, is that the country as a whole has everything a traveler could desire. The city life is rich with energy, bustling with people and filled with the arts, while the countryside is green and peaceful, a respite from tourism for the outdoor adventurer. 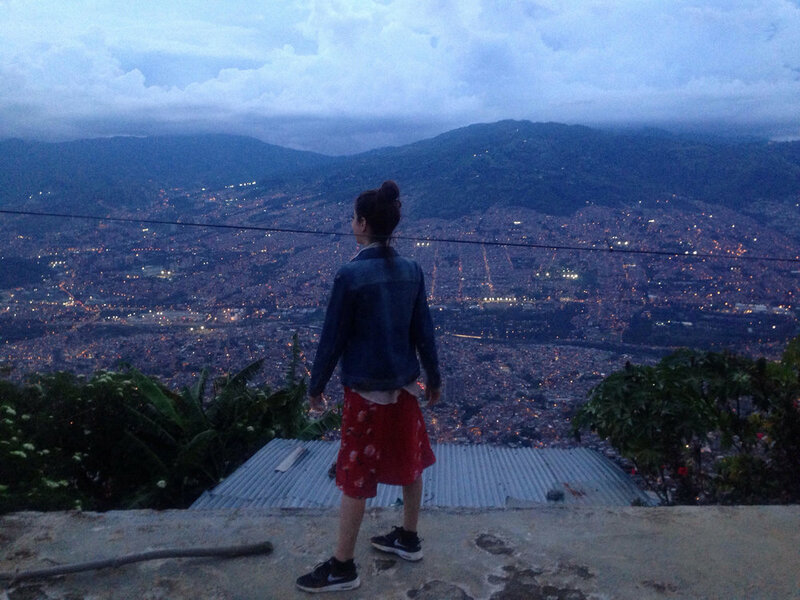 In July, I traveled alone, though nowhere in Colombia ever felt lonely. In fact, I found the people - locals who spoke English, locals who spoke none, and other travelers - lively and dynamic. 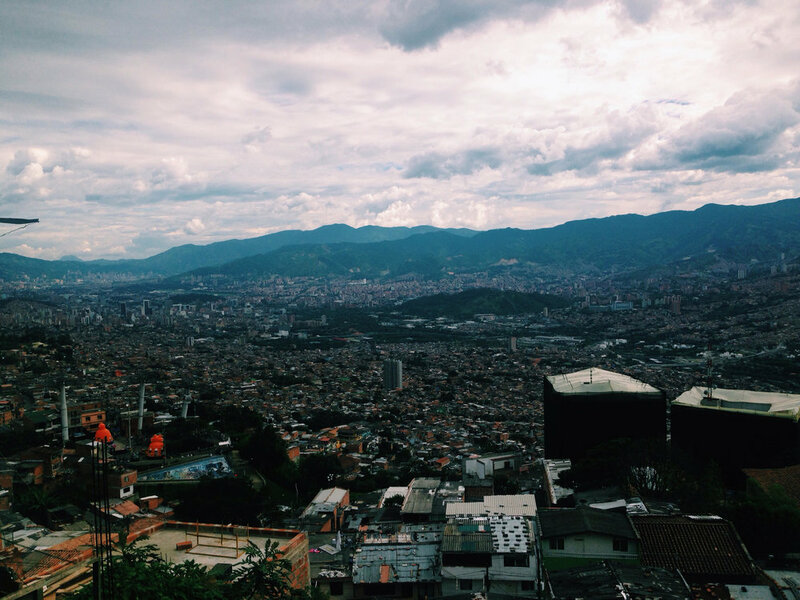 Early on a Monday, I landed in Medellin, which most travelers will tell you is the best place to visit in the entire country. Since I only speak a little Spanish, I quickly befriended a man from Uruguay who helped guide me through the heat and through the city's various sprawling districts before climbing to the tallest peak of the city to watch the sun fade behind the mountains. I drank the best coffee at Pergamino, the local hang-out where freelancers hang and develop their businesses by day, and spent the evenings wandering through the ultra-hip neighborhood of El Poblano that is ever-present with Spanish speakers and salsa music on every corner. 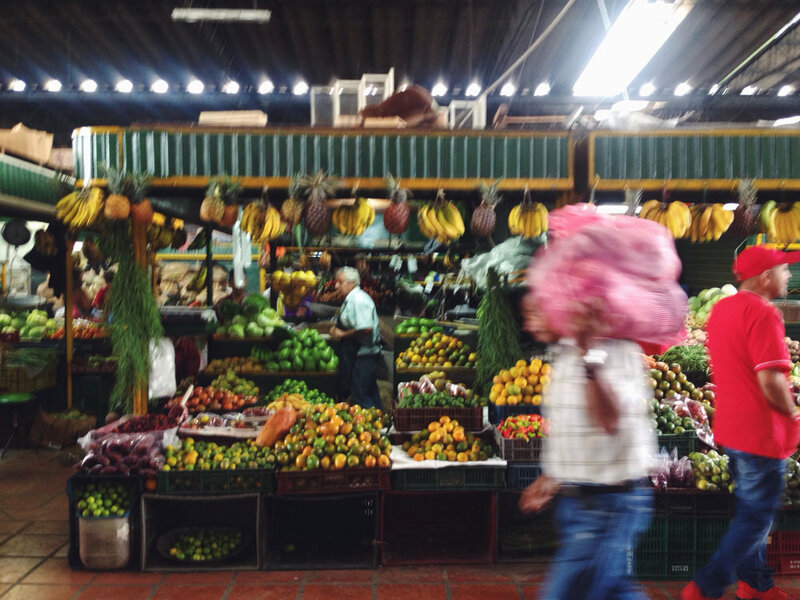 I found the city to be the heart of Colombia, particularly on the Saturday night I serendipitously sat down at a table with young Colombians who were impressively eager to show me their taste of local life. The following day, a Sunday, the city shut down: Sundays are for freedom and for relaxing with friends. I visited one of the few open spaces, the Museum of Modern Art, and its neighboring park, where hundreds of young people played music and danced with one another and gathered in groups and smoked pot. It was one of the highlights of my trip when a trio of college students eyed me sitting alone and felt compelled to find out why a young, smiling woman would spend four hours by herself. We shared laughter when I told them I was fascinated simply observing how other young people around the world live, how different and carefree it felt in comparison to young people in America. I carried on South to the sleepier country town of Salento. Here, you're as likely to sit at the bar next to an older Colombian man in jeans and a turned-up hat as you are a traveler passing through. That's one of the beauties of the country — tradition and tourism blend together so naturally. 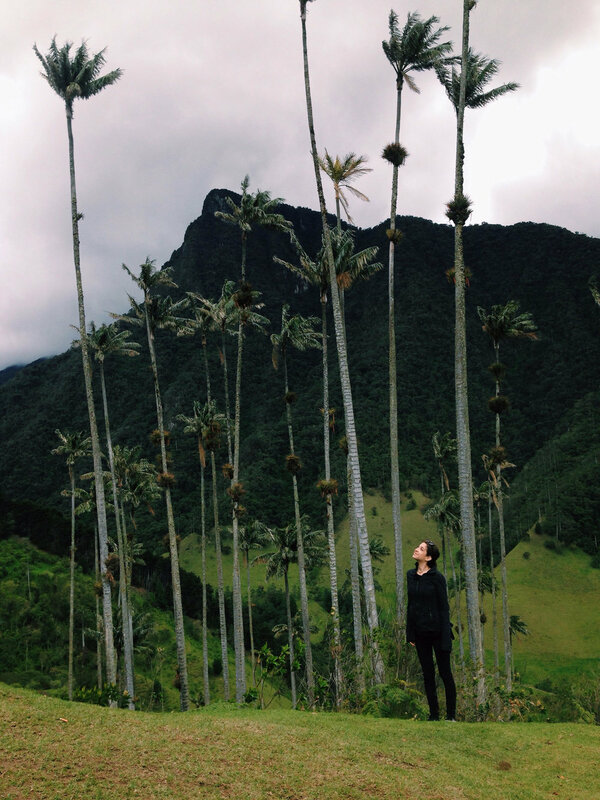 Salento is home to Valle de Cocora, a protected area of mountain foothills where you hike for five hours through sweeping valleys filled with tall and slender wax palm trees. 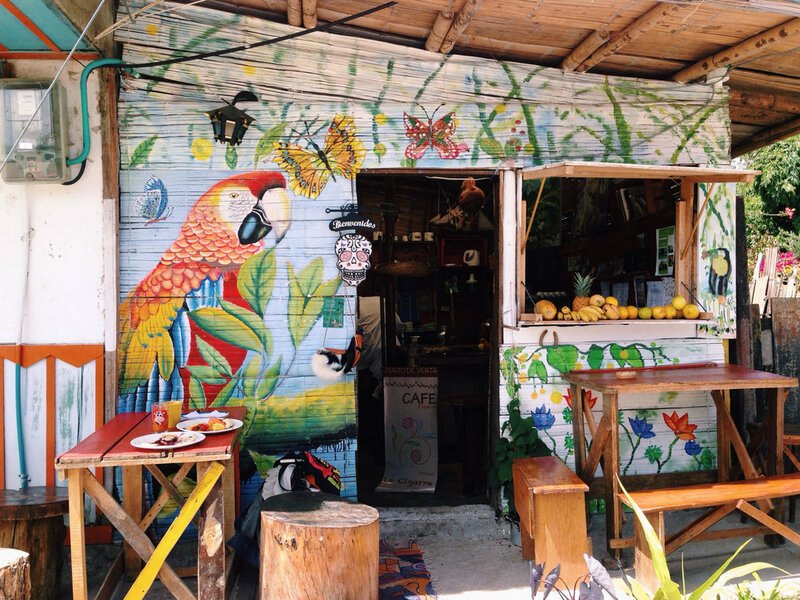 In nature and in the town, I found comfort in eating at the same hole-in-the-wall, colorful breakfast spot, riding a bicycle from one country-town to the next, and drinking rum at the local saloon. 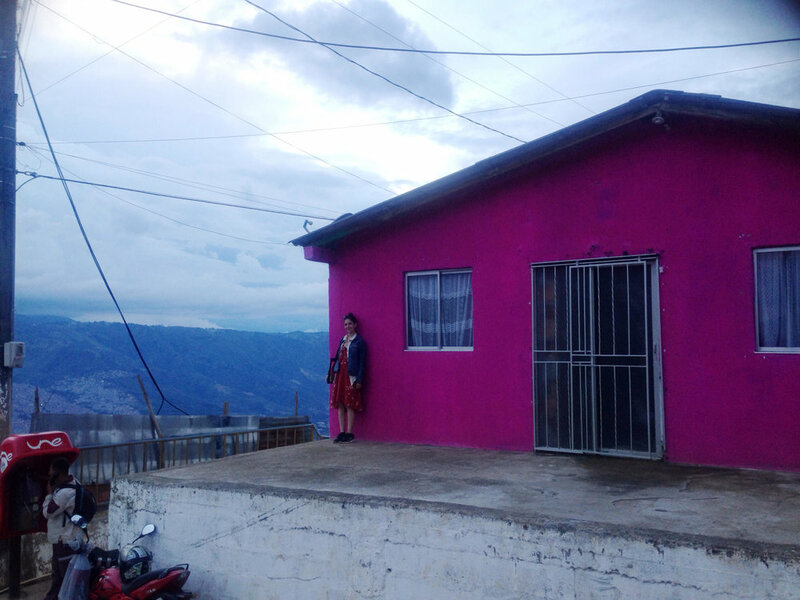 Because four days was not enough, I ventured back to Medellin for one more night that turned into morning, spinning in circles to the beat of the music with a duo of Portuguese filmmakers who gravitated to me, and me to them. Minca followed Medellin, a backpackers' hub a plane, taxi, local bus and motorbike ride away, in the Northern part of the country. The reason people - or young people, rather - like Minca is because there isn't much to do. You can hike (through a path in the jungle for upwards of eight hours), visit a small waterfall, or eat at one of the few cafes on the one street in town. I stayed on a property a ten minute climb from city center, where every guest gathers to tell stories at sunset before a communal dinner. But oddly enough, even with my attraction to silence, I yearned for more action, more commotion. A day trip away, Tayrona National Park is one of the country's national gems, without having the feeling like it's infiltrated by visitors. In fact, for how incredibly well-known and majestic it is - with its sprawling golden beaches and mountain trekking - it's surprisingly peaceful. 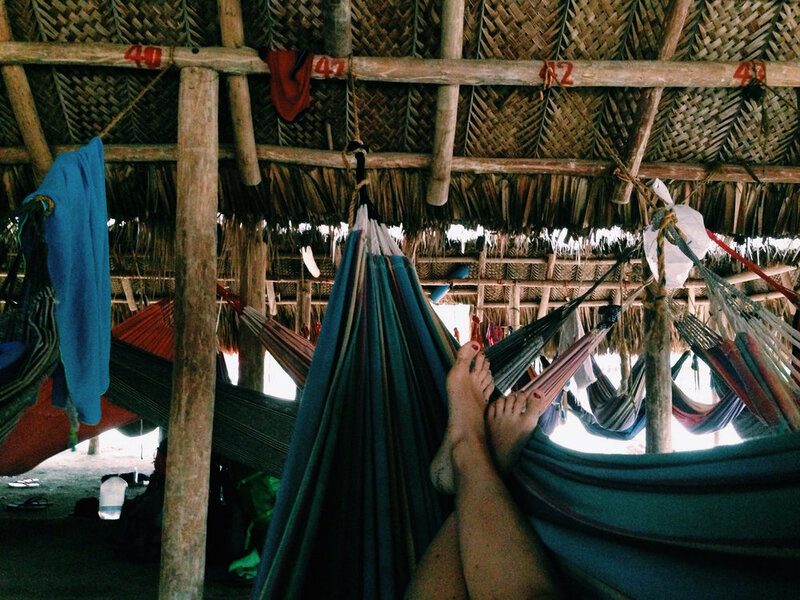 To reach the popular El Cabo San Juan requires two and a half hours of hiking through the park, which is rewarded with golden sand, palm trees, hammocks-as-beds, fire orange sunsets and near empty beaches. In the evening, the only thing to do is eat whole grilled fish, play card games and listen to the waves break. The trip ended where I had anticipated: on the cobblestone streets of Cartagena. I stayed in the artist's neighborhood of Getsemani, but ventured daily into the historic old city center. Cartagena streets are grid-like, meaning the best way to discover anything and everything is to simply walk without any one destination. At first, it seems simple to get lost, but after the second time down the same one-way street, store fronts and door entrances begin to look familiar. I sat in city squares to people watch, as well as in bookstores and on the patio of sidewalk cafes. I ate dinner alone at midnight, because in Colombia, the night is just then beginning. Young people gather in the plazas, passing around cold beers and soccer balls. I filled my last day with food and eating - lots of it - from street vendors and speciality markets. My most memorable meal? Warm arepa sandwiched with a thick layer of melted cheese. If nothing else, I flew home full and satisfied and ever-more curious for South America. It was a humid Monday morning in San Francisco. Indian summer, they call it. I cuffed my jeans to let the air blow up but it made no difference; the heat that day was unforgiving. The city was at their offices, and I was walking through mine: the streets of a city filled with possibilities. I looked down, if only for a moment . . .